For my birthday lunch, Mr Shuck and I went to Jhanjay Vegetarian Thai Cuisine in Wallingford, which just happens to be less than a block away from Trophy. I couldn’t be that close and not at least see what was available today, right? I love a good margarita and this was pretty tasty. 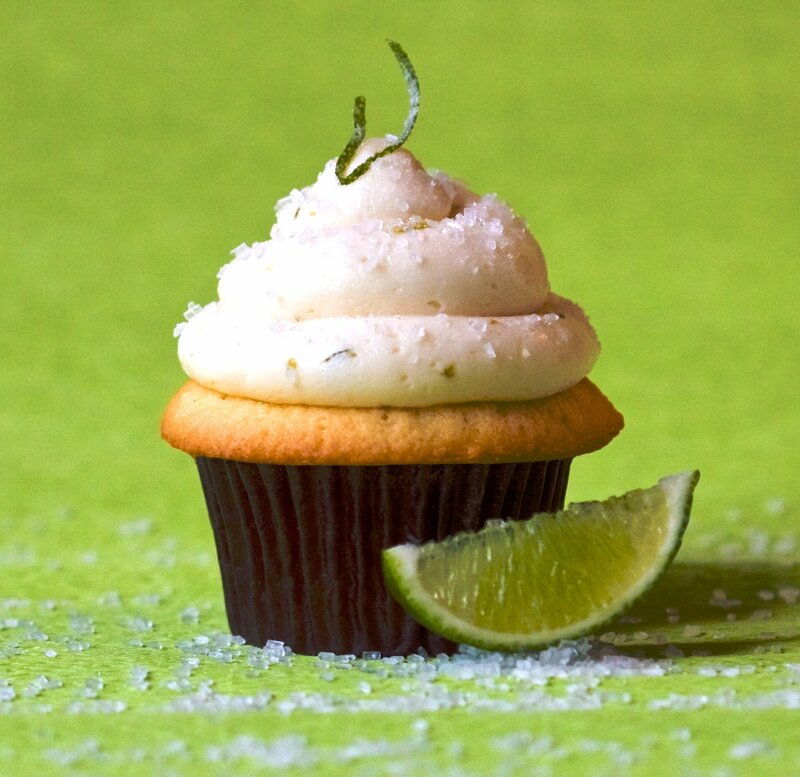 Unlike most Trophy icings, the tequila lime butter cream wasn’t overly sweet and was very fluffy and light. The lime cake had a great citrus flavor, but was a bit dry and very crumbly. I wish I had taken a picture of the crumbs all over my shirt. The cake was topped with a tiny bit of salt which added a little something extra. I’m willing to ignore the dry cake since the icing made up for it. Delicious!